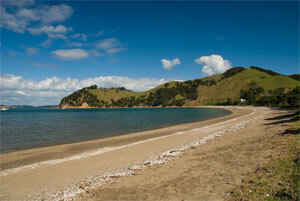 The annual international CellML Workshop for 2012 to be held March 12 & 13 on Waiheke Island, Auckland, New Zealand. You are invited to attend the 2012 CellML Workshop to be held at the Goldie Room on Goldwater Estate, the University of Auckland's vineyard on Waiheke Island. The programme for the workshop is now available. As with previous years, we will be using EVO to enable remote attendance and presentation at the 2012 CellML Workshop. The EVO connection details are available on the remote attendance page. Recordings from previous workshops are available thanks to the BeSTGRID Media Streaming Server for CellML. The workshop is being hosted by the Auckland Bioengineering Institute with the sponsorship of the Maurice Wilkins Centre. David Nickerson is organising the workshop and should be contacted with any queries.